While it used to be just my husband and I grumbling about our dead cell phone batteries, the fact that my daughters have taken control of an iPad as well as an older iPhone means that we are forever charging and recharging devices around here. It seems like no matter how much we plan ahead, the girls will go to play a game or I will attempt to send a text... and nothing. It's all fairly frustrating and, with our continued dependency on technology seeming to grow more and more, having gadgets uncharged is clearly not helpful. Now you can. Thanks to the iCarrier IMP120D from New Trent, charging nearly all of your devices is possible anytime, anywhere. 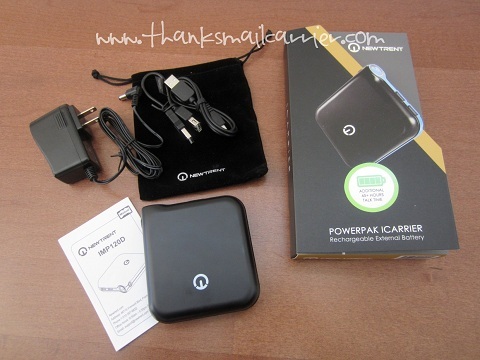 Compatible with a HUGE list of cell phones, tablets, portable game consoles, mp3 players, GPS, cameras and more, the New Trent iCarrier is just about the easiest way that I've seen to charge not one, but two, of your devices in an extremely short amount of time. A tall order for an external battery? I was ready to find out. Right away I appreciated the sleek, minimalistic look of the iCarrier and the fact that it came with its own AC adapter, a few cords to get you started, and a black velvet storage pouch. Removing the pieces from the box, I paused as I realized that New Trent had designed the iCarrier to be intuitive and nearly foolproof to use. ...and it begins storing power immediately (it actually arrived partially charged, which I appreciated, but typically takes four hours to charge to full capacity). Using the two USB ports, you simply plug your gadgets of choice right in, press the iCarrier's power button, and the easy Low, Mid, High scale shows you how much power is left. Voilà! The iCarrier IMP120D has the ability to charge your phones and tablets faster than any other brand of external battery, so it truly is a short amount of time before your battery is filled back up and ready to go. No more fretting that you can't make a call while you are out or that you won't be able to listen to music or watch a movie on your iPod while traveling! As well as the charging speed, I love that the iCarrier doesn't just give a little "boost" of power, as I have seen from other portable chargers. For instance, whereas another product might give your iPhone 4s an extra two hours of talk time, the iCarrier can provide an estimated 45 additional hours! As a final bonus, instead of one round of charging draining the entire iCarrier battery, this single device can be used to charge your items up to six times before it needs to be recharged itself! I can't think of any reasons why someone would not have an iCarrier in their bag, car, on their desk and more. While it is a bit heavier than I expected it to be and too large to comfortably fit in a pocket or small purse, it can easily be stashed in a briefcase, backpack, tote bag, suitcase or more so that you are prepared to charge your devices on the go with ease. On an upcoming trip that I am taking with both of my daughters, I am so glad knowing that I will have the iCarrier with me so that the girls can play on the iPhone and the iPad the entire flight without running out of juice! It's like magic in this high quality, dependable, dual port little bag! The iCarrier IMP120D retails for $76.95 and can be purchased directly from Amazon so that you (or your recipient of this great gift) will never be at a loss for power again. Also be sure to check out the "Special Offers and Product Promotions" section for the most up to date discounts and deals from New Trent! You can find out more about this and all of New Trent's innovative products at NewTrent.com and by connecting with them on Facebook and Twitter. 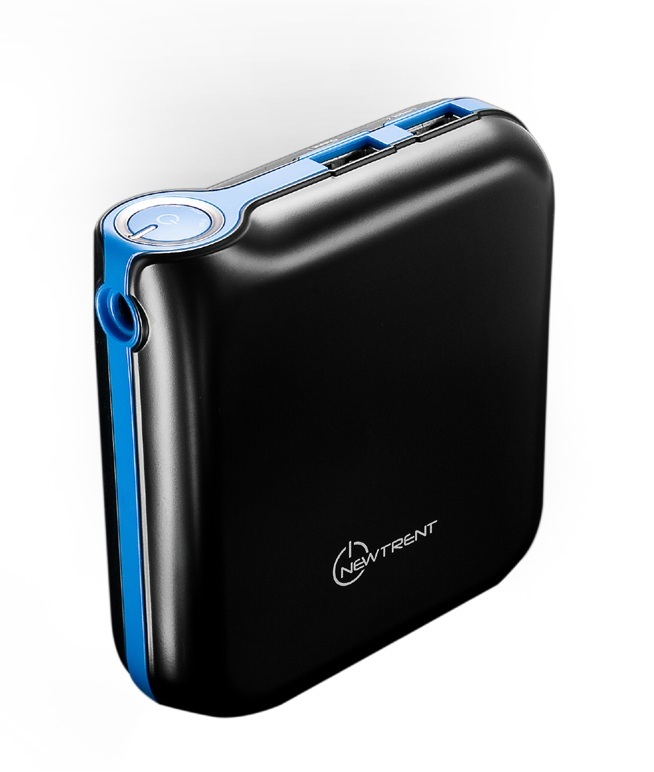 One lucky person will win a New Trent iCarrier IMP120D Dual Port External Battery! A big thank you to New Trent for providing an iCarrier for me to review as well as for one lucky giveaway winner. The opinions shared are my own and honest and if you really need to see more, click here to see how I roll. This would be AMAZING for when we travel for my sister's wedding next month! Would be handy for traveling. We are on the road a lot, so we definitely need it in the car. Thanks! Must have when we are camping, or even when I am at an event where I use my phone a lot and plugs are not readily available!! My daughters school does a 46 hour dance a thon and her phone doesn't last the whole time. They are not allowed to use the outlets. The iCarrier would come in handy for me while I am on the road. Would come in handy on our vacations. We have 3 iphones in my household and we always fight for the car charger and my teenage son uses his for all photos on our vacation. We are taking a summer vacation roadtrip and this would come in handy. WOuld come in handy ALL the time. My phone battery life dies. Laptop has a good bettery life so far. It would come in handy anytime I'm away from home. I would love it. definitely on my road trips to the beach!!! This would be great for traveling! Especially during our trip to Florida next year! This would be great for when we travel. We often go by train to visit my Dad and it's 16 hrs. each way. This would be perfect. would be great for being on the road for vacations and other road trips. 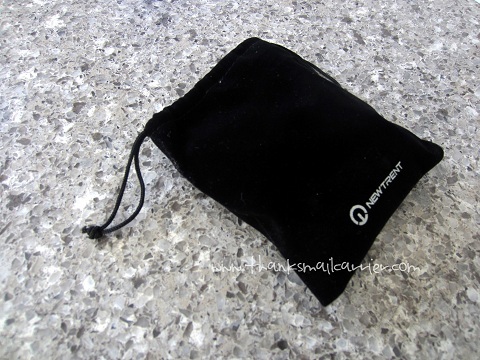 We travel frequently so this would be very handy for that! I would use it when I go camping! I would use it most when we travel to our relative's houses. It would be most handy every day. We are on the road a lot and are frequently using our phone in buildings to the point of it dying, even if we charge it in the car. How great to be able to charge anywhere! It would come in handy when we go back country camping. The iCarrier IMP120D from New Trent would come in handy just about at anytime. It seems as if I always have a low battery with one device or another. This would really save me in a crisis. Thanks for the chance to win this. At home and in the car... we have several family members with computers and so many devices that need charging. Thanks. I'd use this for traveling & camping. I would use it when we travel, like for our road trip to Canada next month. This would be great for traveling! Thanks so much for the fantastic giveaway! On the ship! We cruise often.. It would be very convenient for travelling. It would come in handy when on vacations! the husband is over the road many times for work and he really could use this. At the hockey rink since we pretty much live there. This would be great for my son. He is always on school trips like sporting events, UIL, etc. 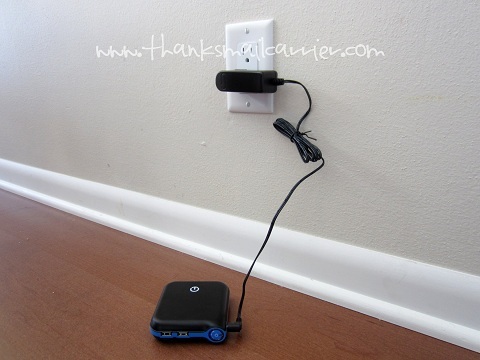 this would be great at work, we all have devices and not enough outlets! This would be useful for when we are on vacation or at relative's houses. It would come in handy when I'm waiting in airports for flights. oh my - iphones of all ages, ipads, ipods -- between the 5 of us could really put this baby to the test here! I think it'd come in handy when being out all day. Especially if you forget to charge. That's happened to me several times. We seem to spend our lives going to soccer practices and games, this would be so convenient. I would use it in my car. It would be great on long car trips. It would come in handy my video camera so I don't miss any memorable moments. On trips; in the car. I could've used it a zillion times this past week. It would bee nice to have in the car while on a trip. We could definitely use it while traveling when our phone GPS eats up the battery. Traveling to visit the family! When traveling to the country to visit family. When I have to go to 4 different games and practices for sports activities for the kids. This will come in handy out and about for my IPod TOuch, Camera, as well as other electronics. It would be great for my car - my cigarette lighter doesn't work so I haven't been able to find a charger that works in my car so far! this would be useful for my iPhone 5 at work. it doesn't have a great battery life and I can't always find a place to plug it in.. I'm traveling to Florida during Christmas time...this would be great for that. We do a lot of day trips on the weekends so this would be perfect for those when we start to run out of juice! It would come in handy on the road for sure. i would love it for camping trips! This would be handy for when we are at the beach. Thanks! This would be great for all the traveling we do to visit my grandmother. At work - my phone is old and terrible and loses its charge so fast. I would use the charger on long trips staying away from home. I am doing stuff on my phone and ipad all day long and my phone always dies before I get home. I could use this for my Tablet and Cell Phone! I'd use this for my Droid RAZR MAXX and my iPod. Anytime we are on the go. This would be fantastic when I am traveling on business - a life saver really. My phone is always dying. This would be a life saver! It would be great to have this anywhere! I can see using it in the car a good bit. This would be great when I am out all day. It will come in handy at the beach. Definitely during a power outage, I needed this a few times over the winter storms. I am disabled and have to go to the doctor a lot. They sometimes hospitalize me without advance notice as well. With no time to go pack, this would be great to have for those unexpectedly long doctor visits or last minute hospital admissions! This would be great when we are camping. My fiance works out of state and flies a lot so for him at airport. I have to travel to AK in July to be with my daughter when she has her first baby. This would be great to have there. it would be perfect in the car for roadtrips! 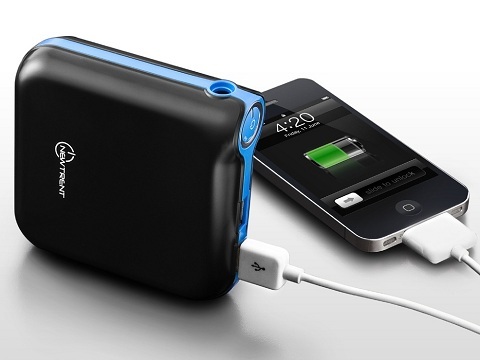 This would come in most handy when traveling when batteries start dying out sooner than expected. I need this when I travel! It'd be great at school. This would make a great gift for my Honey/Hubby who has to travel and commute A LOT for work. But I'm sure he'll find all kinds of times and ways to make good use of this great device. Thank! When we are camping - Thanks! On long road trips where we forget to charge our phones in the hotel! This would be great for in the car and for out of town. It would be perfect for camping. I think it would be great when I am on the road and carry all kinds of chargers with me. I would use it at work. My phone always dies half way through and I'm always worrying about my son. We don't have any way for friends and family to contact us unless they call our cells. This would be great everywhere!! I use my phone pretty rigorously throughout the day and the battery can never last long enough. I'd bring it with me literally everywhere. It would be useful every day and all day. I am constantly on the go with 4 kids under the age of 5. It would be most useful for me in the car. I'm always forgetting to charge my phone before I leave. I would use it for my iPad mini and cell phone while on the go. I would leave this in my car where the whole family would use it for our iPhones, iPods and iPad. I always seem to lose battery power when I am in a meeting, a back up would be nice. We camp and go to the lake alot and it would come in handy there. Traveling is when I could use this battery the most, airports especially. I would love this for camping! My husband is on call 24-7 and has to have his phone charged and ready to go! This would be perfect! I'm on the go a lot and tend to not have time to plug in my phone/tablet for a full charge. This would be great for on the road and even while at outdoor events. This would be great for my husband who is in the military when he is out in the field so that he can maintain battery power to his phone. 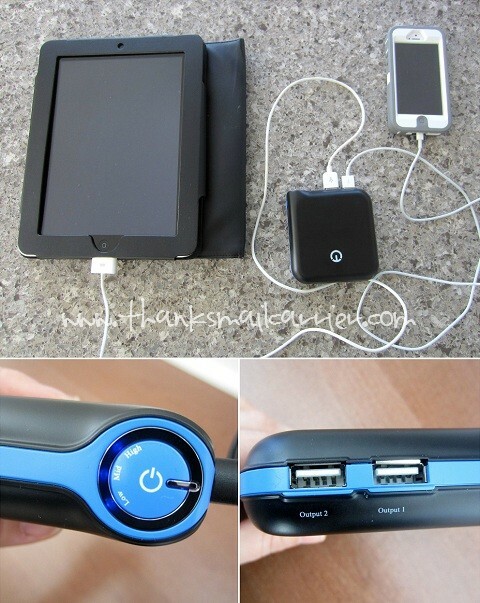 This would be great for traveling/flights. Camping or on tour. This would be AWESOME! This would come handy in so many situations. It would be really great for travel. This would be great on trips, or to keep my battery charged while waiting to pick up the kids from their activities! When I go up north on weekends in the summer! I think in the car and for traveling or camping. This would come in so handy being I commute. They always seem to die on the train. I would love to have this for beach days, my phone is always dying whenever I spend the entire day there because it has to be on the brightest setting so I can see it. This would be AWESOME to have so my cell stays charged! This would be handy when I'm having a picnic with the family. This would be good for camping trips. It would come in handy when I am out on my job. This will come in handy in the car this summer when we go camping. This would totally come in handy when we go on vacation and on work trips! This would come in handy in many places, like camping, a road trip and a day at the pool. I will use it everywhere I go. My phone seems to die quickly so this will be a heaven sent device. This would be fantastic for camping trips! Thanks for the giveaway...the iCarrier IMP120D from New Trent would be great to have on three day weekend overnight hikes !